I would like to introduce you to my newest neighbor, Burger Monger. The concept is simple; fresh, high quality ingredients, quick like fast food with the service of a nice sit down restaurant. Perfect for my growing, evolving neighborhood of Palma Ceia West in South Tampa. When the Husband and I first walked in I was a little sad. The location had previously been my favorite meat and seafood grocery store. But I’m down with change (especially if it improves my property value!). The set up is similar to Five Guys. You order at the counter and you essentially build your own burger. 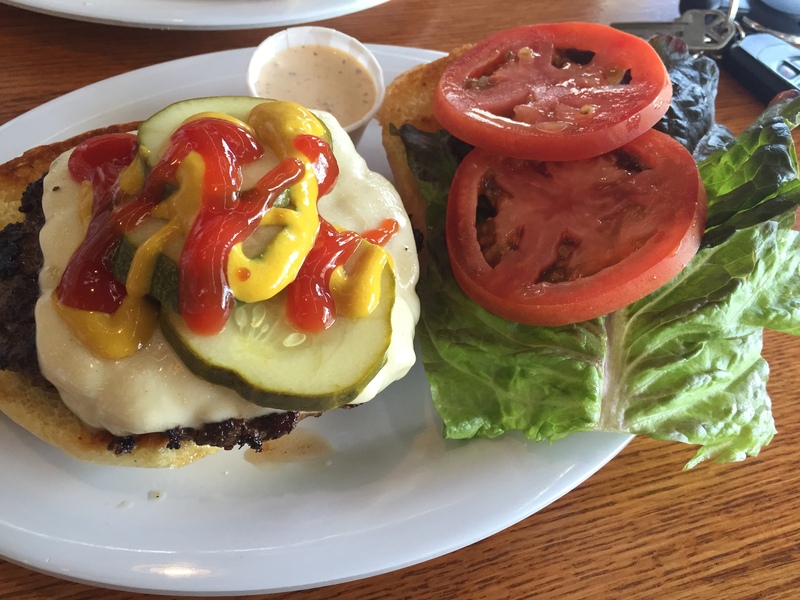 You can choose from a burger, double burger, chicken, or veggie burger. Then you add your toppings and sauces (all but the premium are free) and decide if you want to go all out and have fries and a milkshake (we did). I ordered the Monger burger because I felt like the first thing I should try is their namesake burger. I rarely eat meat and when I do it has to be well done. My burger was well done and still juicy. Reminded me so much of my mother’s homemade burgers. I added pepper jack cheese (I always need a little spice), lettuce, tomato, and dill pickles. I skipped the Monger sauce because it has a mayo base and I’m not a big mayo fan. 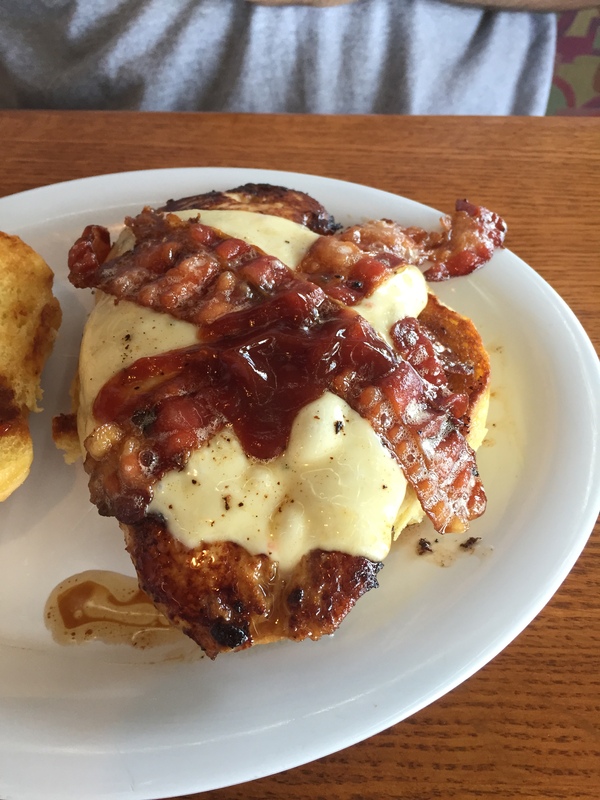 The Husband had a chicken sandwich with bacon, pepper jack cheese, and BBQ sauce. He said the chicken was juicy and the sandwich was fantastic. We ordered an order of fries to share. The potatoes come from Idaho and the cut them in house and cooked in trans fat free natural beef fat (Vegan/Vegetarians beware: Don’t order the fries!). But they were crispy and had a good flavor. I tried a little side of the jalapeno Ranch dressing with them and it was pretty darn great. 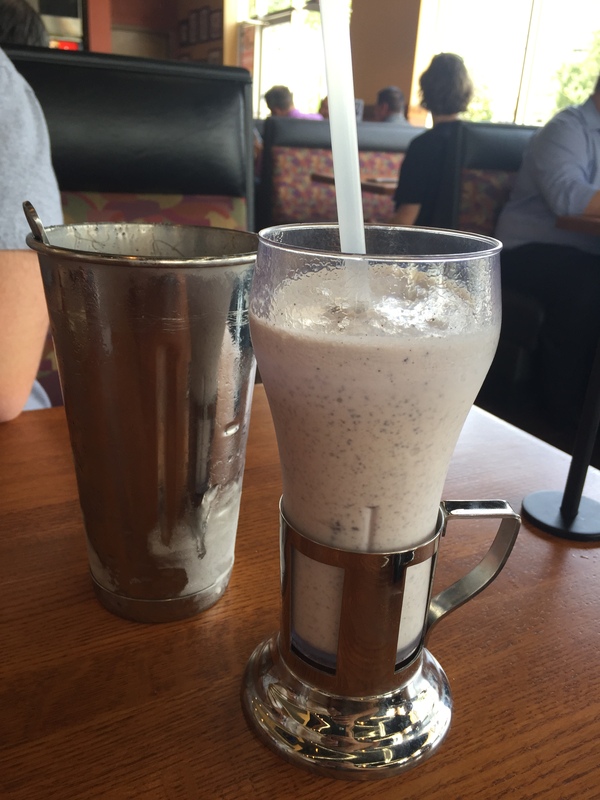 And because we didn’t feel fat enough we ordered an Oreo milkshake. I was a little nervous when the meat and seafood market closed that something super lame like a bank or doctor’s office would go there. Now I have a place to go after work when I don’t feel like cooking or looking presentable (can’t go everywhere in scrubs). Welcome to the neighborhood Burger Monger! I can’t imagine that market as a restaurant! It sounds really good. Those fries are huge. I love Five Guys so I’m really glad to have another restaurant I can walk to from your house. I know! I was really surprised to read that. And I don’t remember seeing it specify that on the menu. But the veggie burger looks amazing. Let’s make a date when you get back!